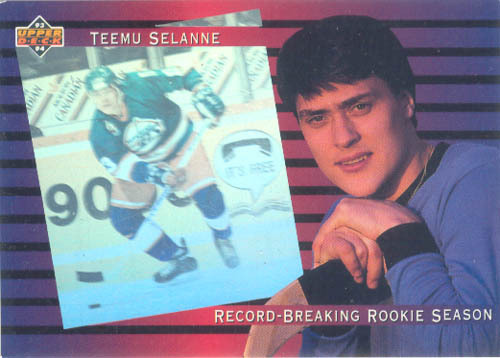 1993-94 Upper Deck insert card commemorating Teemu Selanne's record breaking rookie season (#SP4). NrMt or better. ONLY ONE AVAILABLE FOR SALE.